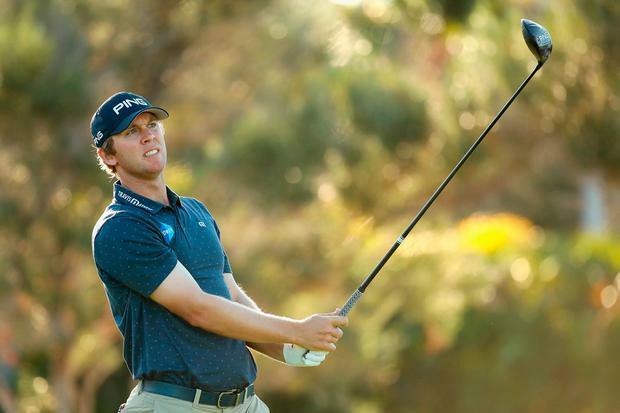 Seamus Power stormed out of the blocks with an opening 66 in the AT&T Byron Nelson. The West Waterford star (31) missed just two fairways at Trinity Forest GC in Dallas, rattling in six birdies in a five-under-par round to lie five shots off the first-round lead of Marc Leishman who shot a 61. American pair Jimmy Walker and JJ Spaun lie second on seven-under, while Jonathan Byrd heads a big group a shot further behind. Graeme McDowell, among the late starters, lies a shot behind Power after a bogey on the 18th saw him finish with a 67. Pádraig Harrington began well, but his 69 would have been much better with a more reliable putter. On the Challenge Tour, Derry's Ruaidhri McGee is just two shots off the lead after opening with a six-under 66 in the Andalucía Costa del Sol Match Play 9 in Spain. Welshman Stuart Manley leads the race to make the top 64 who will contest the nine-hole matchplay knockout series after he shot a seven-under 64 at Valle Romano Golf to lead by a shot. McGee (27) made an eagle two and five birdies in his 66 to share fourth place on a mixed day for the Irish. Ballymena's Dermot McElroy is tied for 15th after a three-under 68 with Ardglass' Cormac Sharvin and Galgorm Castle's Michael Hoey tied 27th after 69s. But it was a struggle for last year's runner-up Gavin Moynihan, who won the recent GolfSixes with Paul Dunne but is in danger of missing his 11th cut in a row after a 73. Whitehead's John Ross Galbraith and Clandeboye's Jonny Caldwell are four shots outside the projected cut after three-over 74s while West Waterford's Gary Hurley signed for a six-over 78. He birdied the last three holes at Rinkven International GC to shoot a four-under 67 and share top spot with English pair Matthew Baldwin and Ryan Evans, Spain's Jorge Campillo, Chile's Nico Geyger, Malaysia's Gavin Green and Dane Jeff Winther. The top 64 after today's second round will advance to a nine-hole stroke play knockout with the winner being crowned on Sunday after a total of 90 holes.